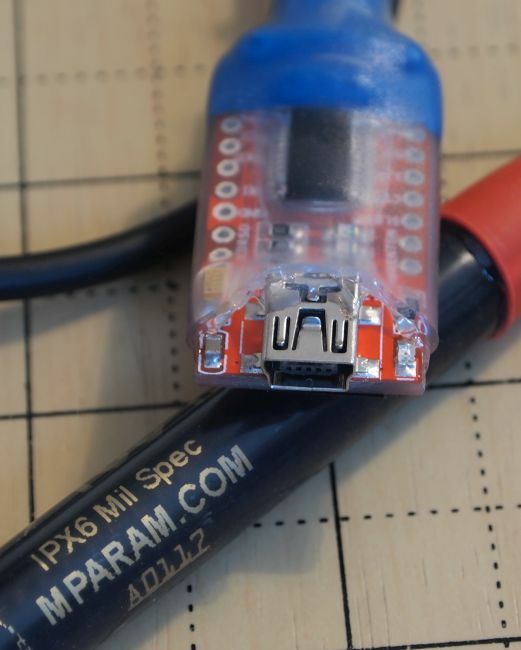 This cable is less hassle to use than the Prolific Windows programming cable (colors may vary). It works with the OEM Software that the radio manufacturers provide, as well as CHIRP. The HT programming cable that is based on the Prolific chipset is fraught with problems due to the way the Prolific drivers do not play well with Windows update. This means users must install legacy Prolific drivers and disable Windows update to make them work. But thanks to the popularity of Arduino projects, there is an abundance of inexpensive USB to TTL boards available, and some of those use the FTDI bridge chips that are easily recognized by drivers already embedded in all the popular versions of Windows as well as Mac USB drivers (with Mac OSX 10.9 "Mavericks", Apple provides their own driver for FTDI chipset). 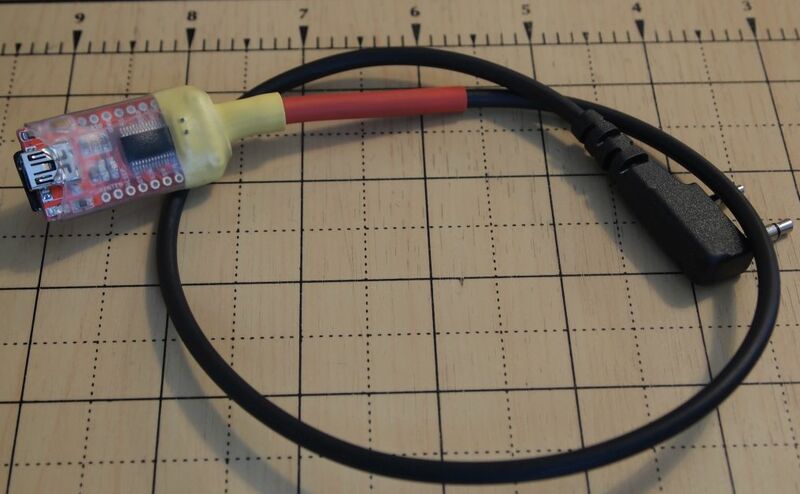 If you have an existing Prolific cable and would like to swap out the chips, or just build a cable from an old microphone cord or cloning cable, it is easy to do, as shown in the following demonstration. 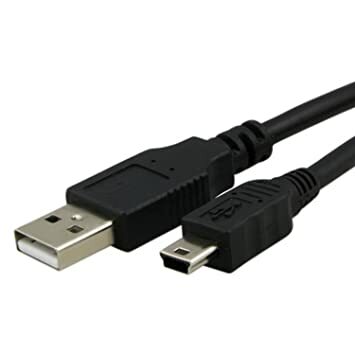 Note: To plug this into a standard USB port on your computer, this cable requires a common Type A Male to Mini B Male USB cable. You probably have many laying around, if not you can add one to your order.